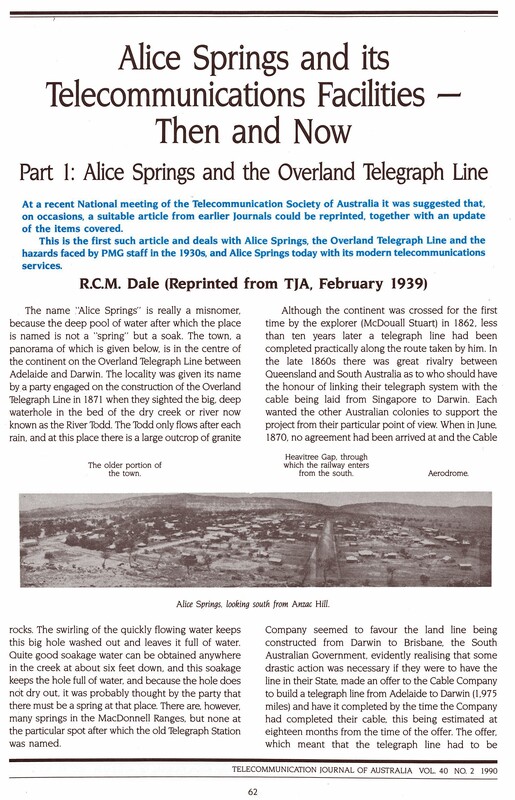 The original paper (Dale, 1939) was published prior to the Second World War and provides a lively account of the telecommunications facilities radiating from Alice Springs. 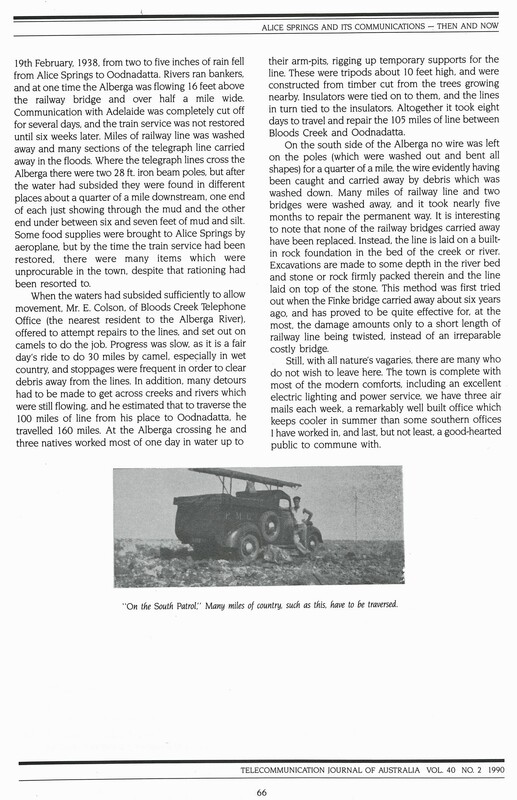 It describes the establishment of the overland telegraph and the increasing importance of this remote town and challenges faced by the local inhabitants. 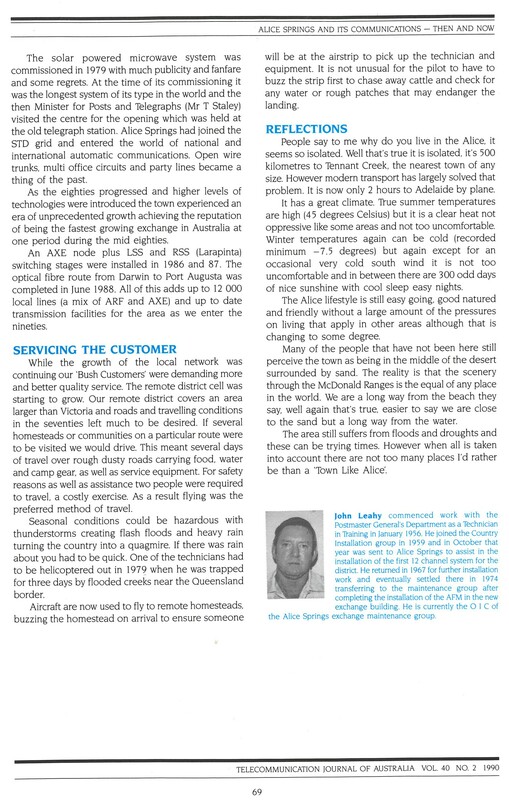 The second paper (Leahy, 1990) fast-forwards nearly 50 years and details the telecommunications facilities at Alice Springs in 1990. The author is obviously proud of the advances in technology and amenities of the region. He closes with the words ?The area still suffers from floods and droughts and these can be trying times. However, when all is taken into account there are not too many places I'd rather be than a 'Town Like Alice'?. It is a pleasure to reprise these two historic papers. Dale R. C. M. (1939). 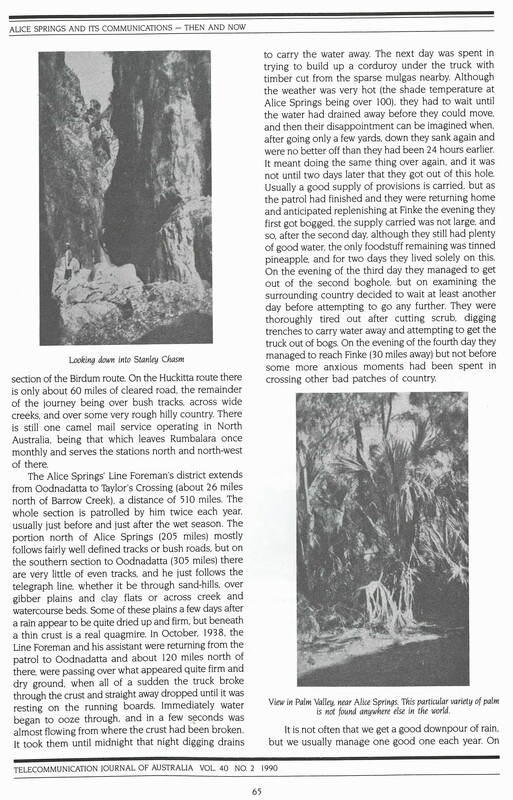 ?Alice Springs and the Overland Telegraph Line?. 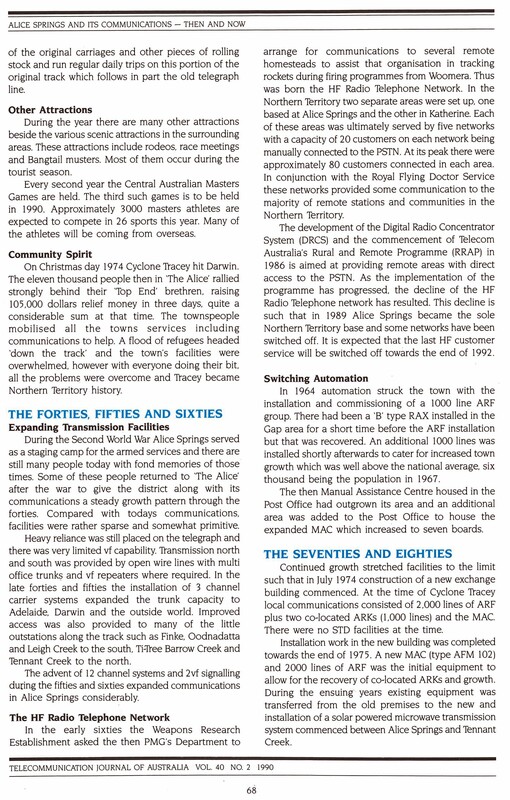 Telecommunication Journal of Australia. Vol. 2 No. 3. February 1939. pages 161-165. Leahy J. (1990). 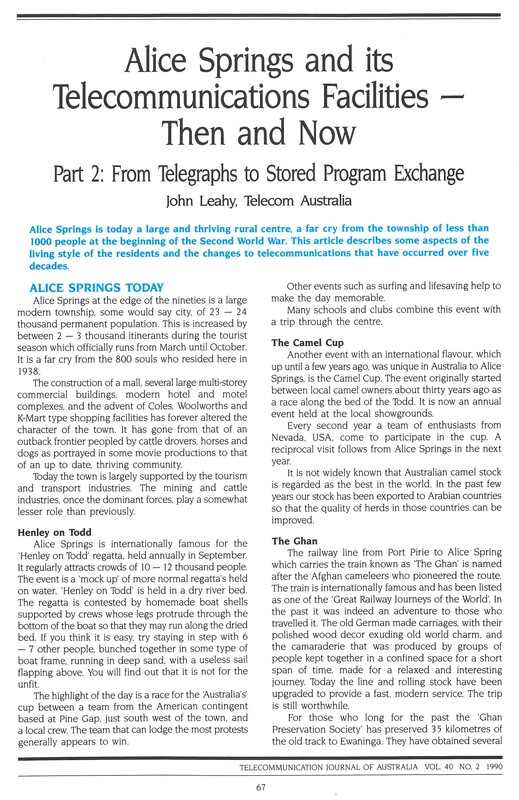 ?Alice Springs and its Telecommunications Facilities Then and Now - Parts 1 and 2?. 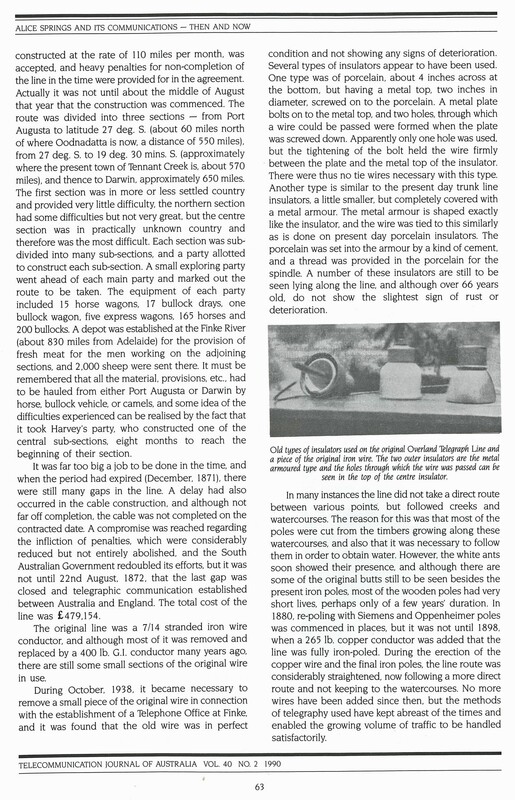 Telecommunication Journal of Australia. Vol. 40 No. 2. 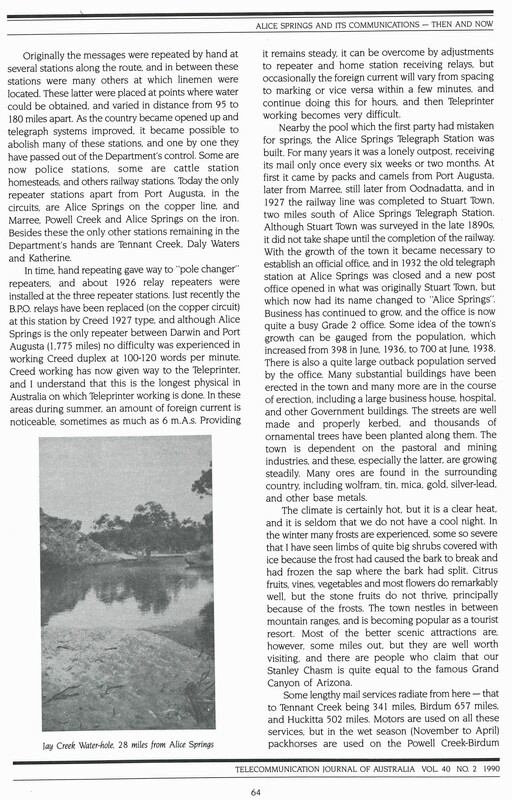 1990. pages 62-69.